In the chequered pantheon of European royalty, Louis XIV stands out as one of its more glamorous and colourful monarchs. From his coronation in 1654, until his death in 1715, Louis reigned over one of the golden ages of French history. In the popular imagination, Louis' reign was characterised by his opulent and decadent personal lifestyle, a king more interested in courtly intrigue and the Baroque creation of Versailles and Marly than the plight of his starving but remarkably loyal subjects. 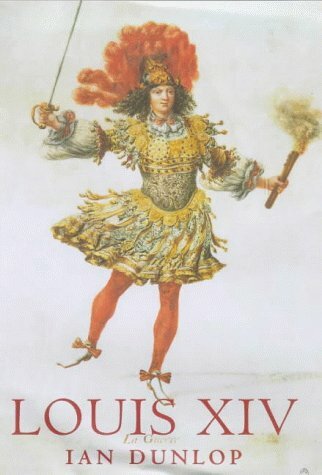 However, as Ian Dunlop points out in his massive and painstakingly detailed biography, Louis XIV, the so-called Sun King of France, was a politically astute and wily ruler. Dunlop argues that Louis "was a man whose foremost concern in life was what it meant to be a king", and therein lay both the remarkable advances but also the crippling limitations of Louis' reign. Dunlop is particularly strong on highlighting the politically precarious situation under which Louis came to the throne and his close personal relations with a string of Machiavellian advisors--first Mazarin, then Fouquet, the officious Colbert and Louvois, who were all ultimately more effective than their king in transforming France from the age of Feudalism into the age of the Enlightenment.